One of the greatest ballets by Maurice Béjart, performed in 16 countries, 197 times. 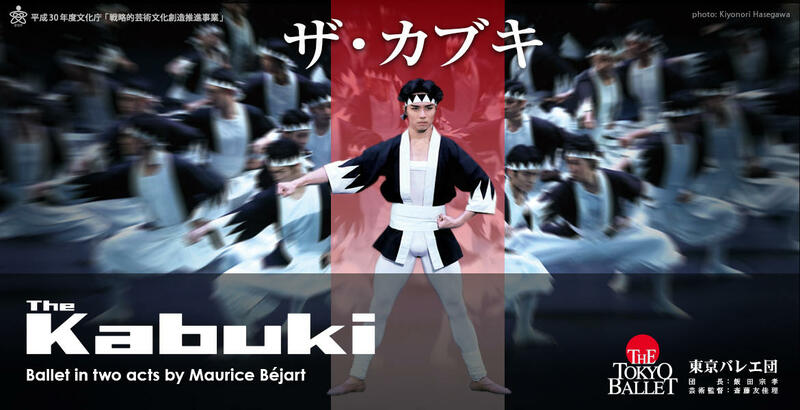 The Kabuki was created in close collaboration between Maurice Béjart, world-renowned composer Mayuzumi Toshiro and The Tokyo Ballet. Since its premiere in Tokyo in 1986 which caused a great sensation, The Kabuki has become an essential part of The Tokyo Ballet's repertoire. The company has performed it in 16 countries, 197 times. The ballet is based on a famous play of kabuki called "Kanadehon Chushingura", a story about 47 samurais in the eighteenth century, however with some artistic modifications such as time travel of the tragic hero, Yuranosuke. It was completely innovative and dynamic fusion of Japanese traditional performing arts, kabuki, samurai spirits and ballet, and is arguably one of Béjart's masterpieces. In 2019, The Tokyo Ballet is scheduled to perform The Kabuki also at the Wiener Staatsoper and the Teatro alla Scala. Join us to experience the extremity of 47 samurais.